Browse the Interwebz like Jay Z! 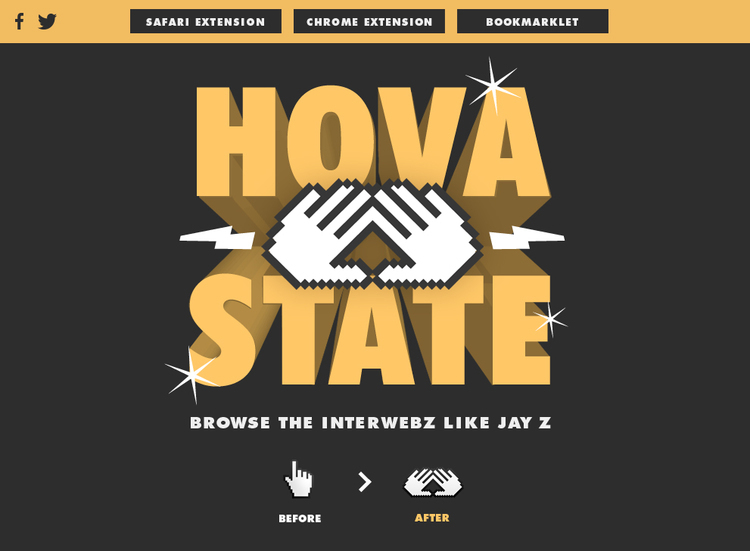 Turn your hover state into a HOVA state. Most Americans know that Jay Z calls himself Hova. Some Americans are familiar with hover states. If you happen to be one of them, welcome to Hova State. If you have no idea what we're talking about, move along.